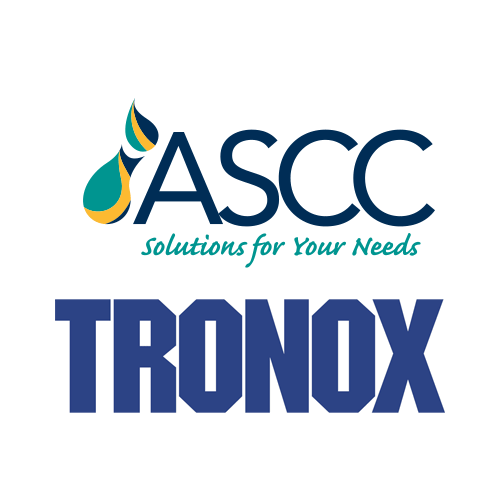 It is with great pleasure that Tronox Australia announces they have partnered with ASCC for the distribution of Titanium Dioxide throughout Australia. The appointment of ASCC as the Tronox Titanium Dioxide distributor in Australia enhances and expands on a long standing relationship between the two companies in New Zealand. The synergies and alignments that ASCC can offer Trans-Tasman customers, along with ASCC’s Australian market coverage, excellence in customer service, strong technical acumen and ease to deal with made this a logical decision when Tronox was reviewing the current distributor arrangements. ASCC has a long and successful track record of supplying premium raw materials across a wide variety of industry sectors throughout Australia and New Zealand, and the addition of the Tronox range of Titanium Dioxide to our product portfolio is a proud moment in the continued expansion and growth of our business. With a broad range of industry experts, and the back-up of Australia’s premier Titanium Dioxide producer behind us, ASCC is delighted to continue providing “solutions for your needs”.